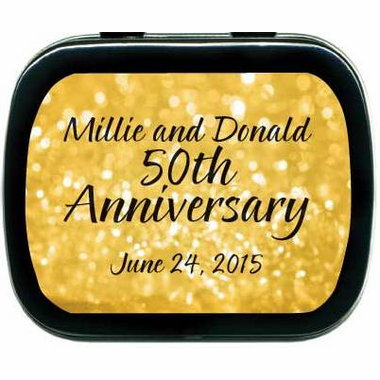 Everyone can use mints as 50th wedding anniversary favors at your party, especially ones displaying the names of the happy couple. 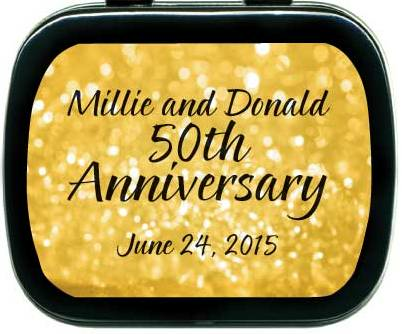 The label is gold to represent the golden anniversary with black writing. 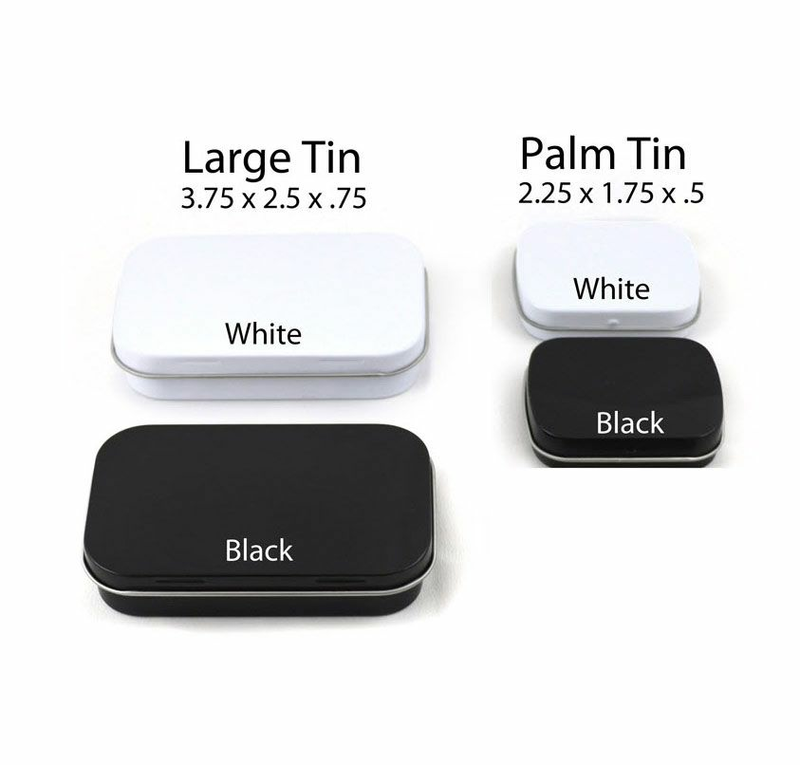 It looks best on the black color tin. 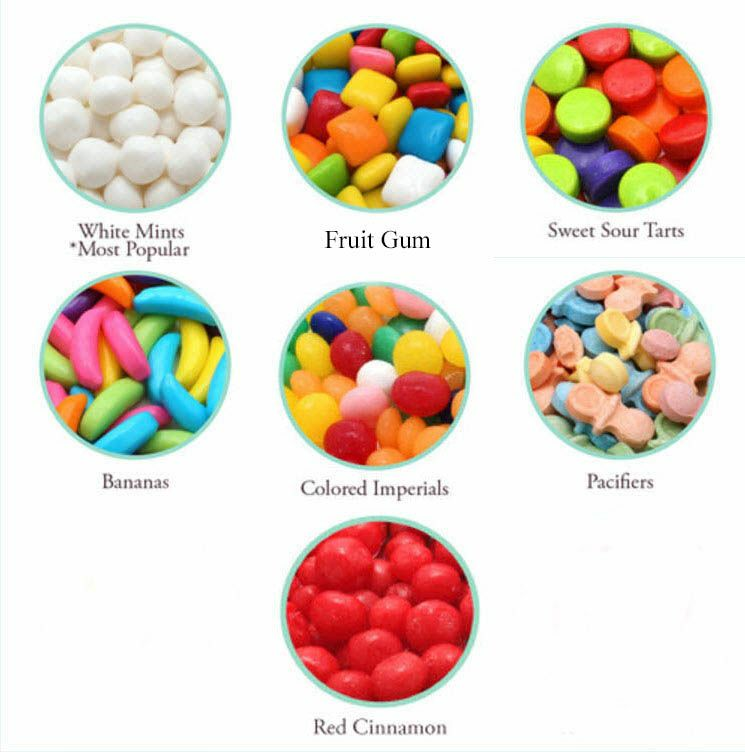 There is no assembly work for you, as each tin is filed with mints, sealed, and has a label placed on top.